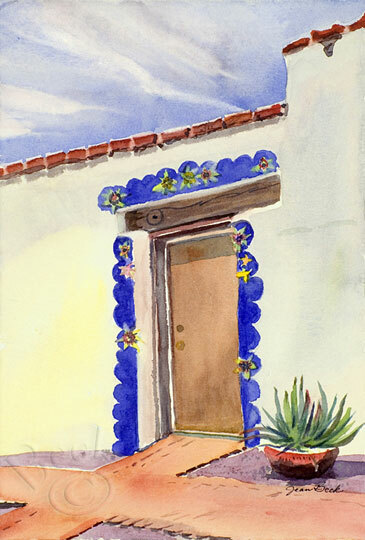 With several students, I showed, as quickly as possible, how to draw the doorway to the pottery room. When I returned to correct the perspective, Aug. 30, 2011, paint was all faded, and the pottery flowers have been damaged and some replaced. Attempting to finish this on a day when outside temperatures were 109, I sat inside at a different angle than when I first started it, which added to my difficulties with this tiny demo.